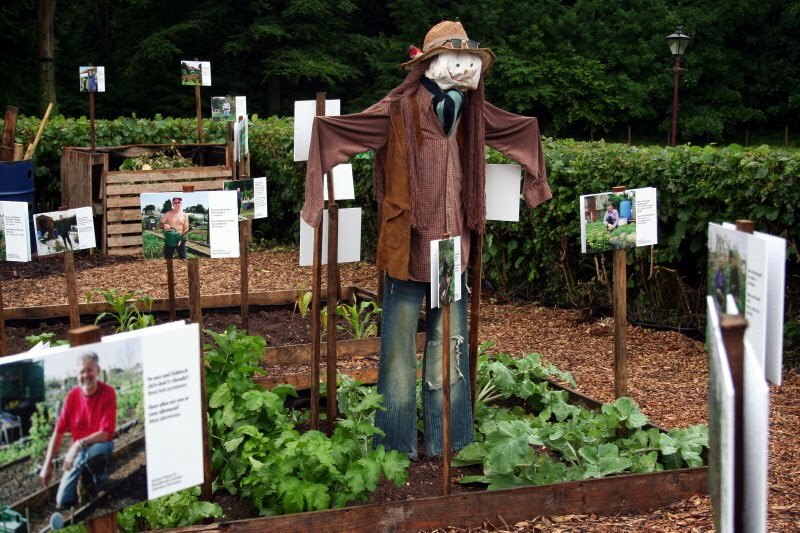 Allotment keepers are a hardy breed, braving all weathers to tend their plots of land. 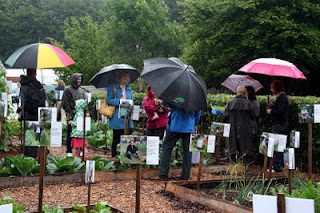 So, it was not surprising to see them turning out in the rain for the opening of the latest exhibition of photographs – entitled ‘Allotment Keeper’ - by Betina Skovbro. The event, at the National Museum of Wales, features an amazing series of portraits of allotment keepers, along with their tips and tales, arranged on a zigzag trail around an actual allotment created especially for the exhibition, complete with shed and greenhouse. LEFT: Betina with Terry Walton, the Allotment Doctor from BBC Radio 2's Jeremy Vine Show. 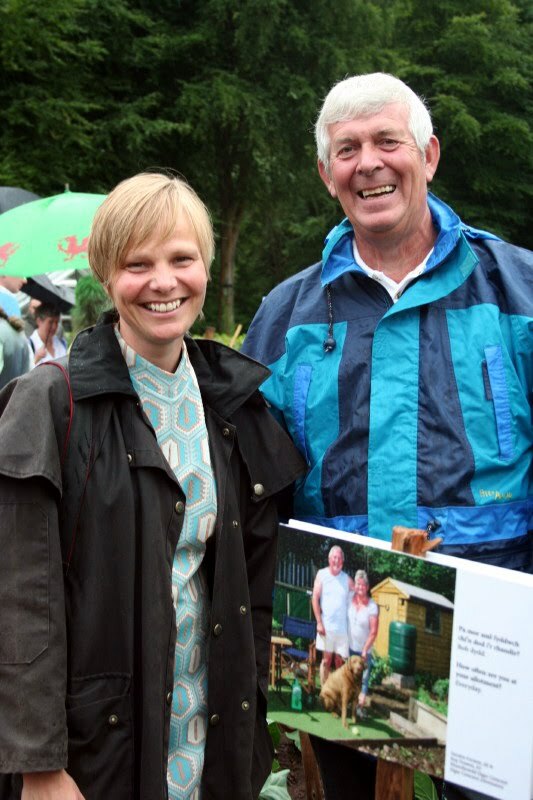 Terry opened the exhibition, praising not only Betina's work but also allotment keepers everywhere. 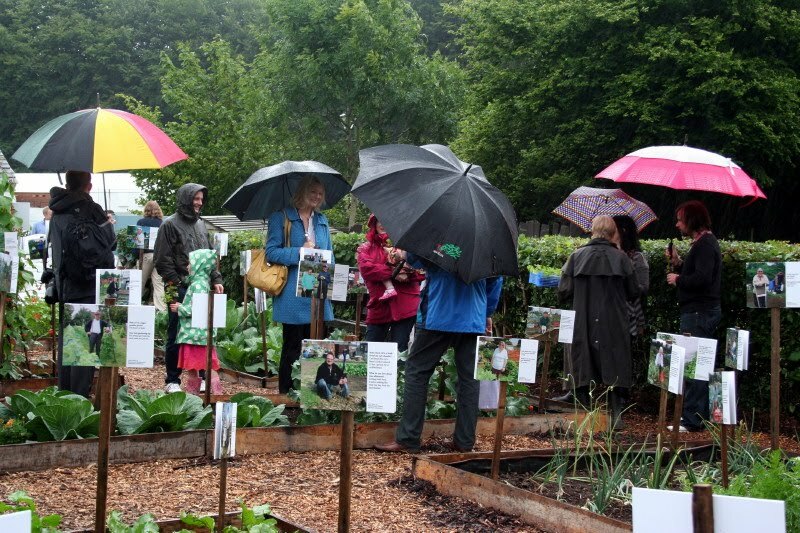 Although a little July sunshine would have been nice, the rain and umbrellas seemed somehow appropriate for the opening of this exhibition, emphasising just how dedicated allotment keepers are in their quest to grow the best flowers and vegetables. 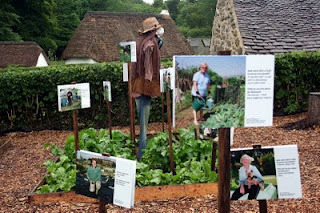 I took the photos here to capture the atmosphere of the event. 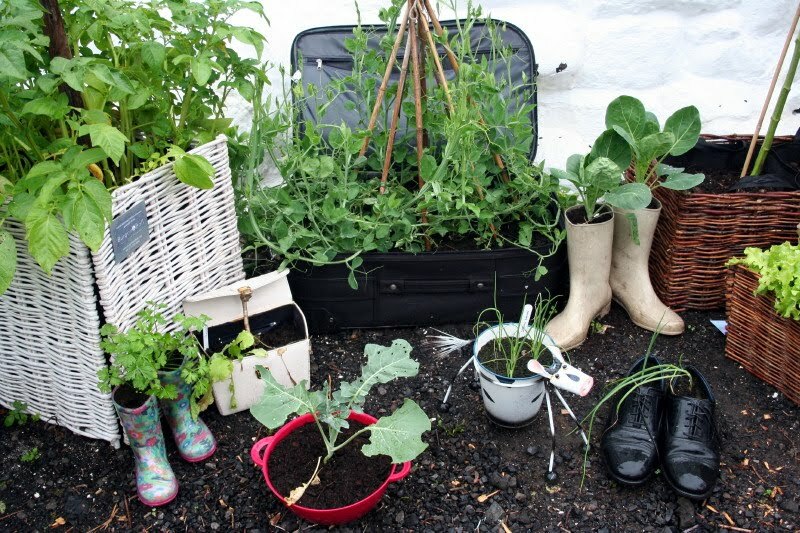 Betina was inspired to do this project after becoming an allotment keeper herself. The result is a fascinating series of photos, capturing allotment keepers in their natural habitat. 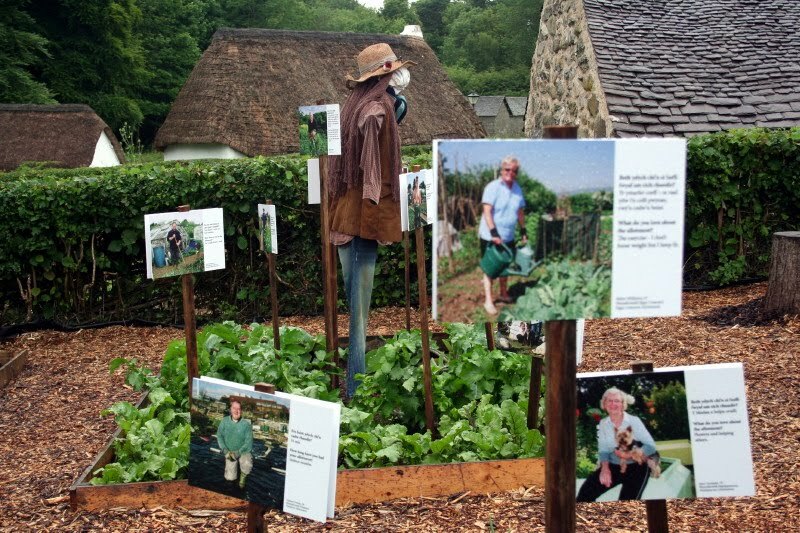 Each work features an observation, with advice such as “Don’t forget your flask of coffee”, and what they love about their allotment: “No-one complains about my singing”. 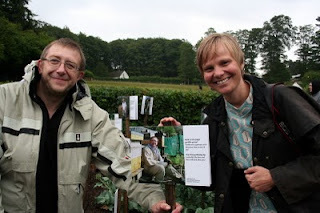 Betina had grown up watching her parents grow their own vegetables in their garden just outside Copenhagen. Working on her allotment, she says, opened up a wealth of new experiences and encouraged her to explore a range of issues she hadn’t considered before such as today’s supermarket society with its pre-packed foods, and the return to a “grow your own” culture. 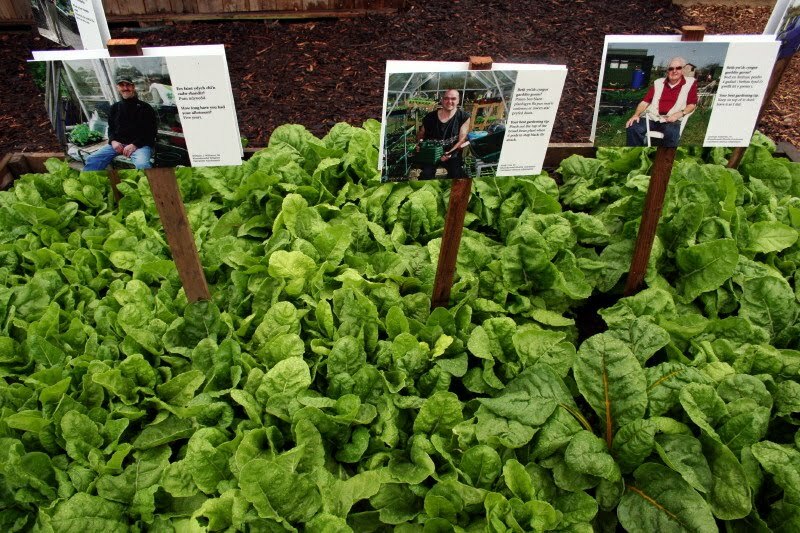 Betina used a 1975 Hasselblad medium format camera to capture the images in the exhibition which feature an eclectic mix of personalities, abilities and experience – “each one nurturing their own small plot of land”. Among them is Ade Morris (pictured above with Betina), who hails from the Black Country and keeps bees on part of his allotment. 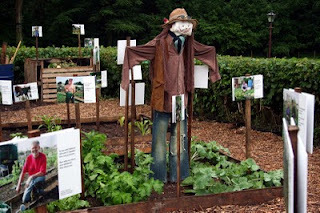 He met Betina when she was working on her last project about dog walkers in a Cardiff Park. 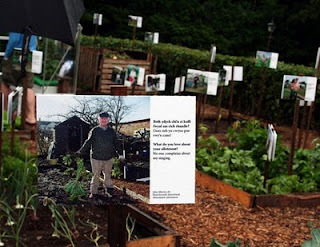 The resulting exhibition was just as innovative in its presentation as this one – with photographs of dogs and their owners hanginging from the branches of a tree.